Social Networking On The Move. How Far Will It Take Rocketalk? Cashing in on the growing trend of social networking through mobile, Rocketalk, a four-year-old New Delhi based startup, is gaining an early mover advantage with 4.7 million users at a time when social media big daddies--Facebook and Twitter--and other online networks are beginning to take to this medium. The California-based Mission Ventures-backed Rocketalk says it has over 4.7 million active users, who log in once a month or more. According to mobile analytics firm Informate, RockeTalk interestingly had more users on the mobile compared to Orkut, Facebook or Twitter in India as of October 2010. What seems to be working for this four-year-old startup are macro trends such as availability of budget smart phones and affordable tariff plans in India. A recent Hitwise report by Experian India notes that social networks represent 12.57% of Internet visits in India, following search but overtaking email services. Rocketalk is an indigenously built platform conceptualised by Rajiv Kumar, an IIT Mumbai graduate who was part of the creation of the wireless standard known as Bluetooth, He built the first Bluetooth stack for the Windows operating system at Widcomm, a company he founded and sold to Broadcom in 2006. 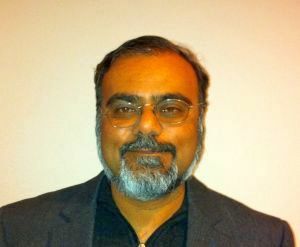 Kumar is also the author of several books on wireless communication. The platform took eight months to develop and in late 2008, Rocketalk raised the first round of venture funding from California-based Mission Ventures, an early-stage fund that focuses on startups in communications, enterprise applications, infrastructure and technology-driven services sectors. Kumar has invested $0.5 million in Rocketalk so far. He has also applied for 14 patents - for quickly compressing and decompressing video and voice; delivery of voice and video over GPRS and display technology and more. Rocketalk, which is still to break even, is looking to raise $10 million through a second round of venture capital funding over the next few months, Kumar said. So far, $10 million has been invested in the last three years in Rocketalk. Rocketalk, which is free to download and use, started monetising its network via advertisements in November 2010 and has 25 advertisers so far. The fresh funds (from the second round) will be used for product development and new feature development. Kumar put together a team of 10 engineers in New Delhi and five software architects in the US in 2007 to develop the audio-video platform that forms the base of the community today. In mid-2010, Rocketalk hired five developers and added applications for Android based phones and the iPhone and launched the iphone app in January 2011. Rocketalk perhaps captured the pulse of the audience by going local and offering what clicks with the masses. It all started with one small step of a video contest which was part of a Hindi movie (Luck By Chance) promo. "We got 11,000 entries from mobile users, it had grabbed mindshare," says Kumar. The company had taken a month to reach 10,000 users and this was around 25,000 when the contest was launched. The number of users then soared to 1 lakh. Then followed live chat sessions, increased traction from movie promos, community creation and talk shows through Radio Rocketalk. User stats of Rocketalk are somewhat like this: With 103,000 communities today, users of the platform share approx four million MMSes per day and spend about 45-46 minutes on the site per visit. It is one of the top downloaded applications with 55,000 downloads per day. Kumar says, "Users were organising the talk shows themselves. We were a small company and did not have a budget for advertising. Our job was to provide the platform, technology and make sure the system worked and did not crash - those were the hard parts." One of the key challenges that the company faced was the issue of aligning with handsets. How does a startup, with ten employees, build an app that supports 2000 handset models? "Apps are typically developed for one phone. So we had to undertake different exercises to ensure all handsets were supported. We now support 1100 models and it's a fair amount of coverage of all the popular phones in the market," Kumar says. Rocketalk has partnered with handset OEMs such as LG, Samsung and Micromax and saw a steady gain in userbase. Rocketalk is now setting its sights on Indonesia, Bangladesh and Australia, where it will follow its strategy of partnering with handset manufacturers to gain traction. Rocketalk recently opened out the platform's API to developers, enabling them to develop new content, media and games for Rocketalk and this is the next stage of growth for the company. From 5 million now, Rocketalk aims to reach 15 million active users over the next 12 months. According to an Analysys Mason report, as of 2010, there were 10 million mobile social network users, and this is expected to reach 72 million by 2014. The early bird catches the worm, they say. It remains to be seen how far this early-mover advantage will take Rocketalk as it faces the growing popularity of Facebook and Twitter among mobile Indians.